I cater my lessons to the want and needs of the individual student. From all my years of teaching I've become a human jukebox and if I don't know a song that you would like to learn, I can figure it out for you note for note if you bring in the song on CD, iPod or anything else. Some students just want to play for their friends, family, church etc. and others want to learn how to improvise solos and learn a wide variety of styles. 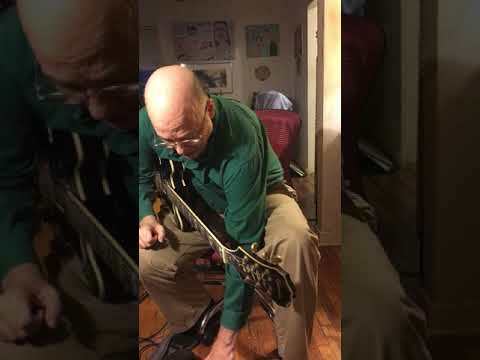 Whether it's rock, pop, jazz, blues, gospel, country or folk music I can and will teach you every scale, mode and chord known to mankind if that's what you need! It all depends on what YOU want to learn! I 1st started teaching at Guitar Corner in Arcadia, Ca. from 1975-1979. I then switched to Graham Music in Temple City from 1979-2000. I currently teach at 3 different stores but I'm trying to build up my client bass on takelessons.com. I've performed with the Drifters, Tower of Power, and Brenda White. I've led musical groups with alumni from Ray Charles, Jerry Lee Lewis, Stevie Wonder, Gabor Szabo, Harry James, the Coasters, Smokey Robinson, Diana Ross, Gladys Knight, and even Englebert Humperdink! I teach, jazz, rock, blues, pop, country, and folk music and am also experienced at teaching music theory and improvisation. Advisory Council for Minority Affairs [ACMA], 1987, and 1988. Performing with my band, Water Colours in June of 1987, and again in 1988 during American Heritage Week. Jeff is a knowledgeable and dedicated teacher. If you want to learn a song that he doesn't already know, he can figure it out, often on the spot. His ear for music is a benefit for his students. In addition to knowing music, he is kind and compassionate. Don't let one disgruntled review turn you away, because, as you can see from the numerous other reviewers, Jeff knows music and he knows how to teach. You will not be disappointed. Anyone who knows Jeff will agree that he loves teaching. Jeff is a talented musician and a talented teacher. With that in mind, his ability to adapt to individual student needs is exceptional. I took guitar lessons from Jeff as a child, and a wild child at that. Even with all my shenanigans, Jeff never once got angry or raised his voice, but rather he calmly redirected. I' am now grown with three children of my own. Unfortunately we no longer live in Southern California, or I would love for my children to be taught by Jeff. No matter your age (or your children's age), Jeff's ability to teach young, old and in-between is just an example of how versatile Jeff is. Hi. I left a prior review under acoustic guitar. Jeff teaches basically anything with strings and frets: Acoustic and Electric guitar and bass, in Rock, pop, Jazz, blues - you name it. Throw in Mandolin and Ukulele. I started playing guitar over 50 years ago - self taught with years of inactivity. When I retired 3 years ago or so my wife set me up for guitar lessons from Take Lessons, which led to Jeff. He was close by in Pasadena. He started with my flimsy knowledge of a few chords and moved along as I learned. He has an encyclopedic knowledge of all sorts of music, and can lead you down whatever path you chose. I started with basic rhythm guitar, classic rock, R & B, and at this point starting to work on the blues. I look forward to my weekly meetings with Jeff and highly recommend him. One of the biggest musical influences in my life is Jeff Stetson! His style of teaching and lessons are tools I have used throughout my life. I studied with Jeff as a complete beginner and returned to him years later while I was in college for more in-depth advanced lessons. I can not recommend him strongly enough - he is the BEST teacher you can have! I have a degree in Music and Jeff is a huge reason why. You can’t go wrong with Jeff! I started with Jeff in 1976 after becoming frustrated with my teacher who only taught the Carol Kaye method. Jeff was a breath of fresh air with his encouraging me to perfect my basic skills and expand the genres of music I listened to and played. After a few months he understood exactly the way I learned and my lessons became focused on my personal progression that was always changing at that age of my life. Jeff is very knowledgeable and laid back. Very enthusiastic about music and teaching. He knows his stuff and knows how to make lessons fun. Very experienced instructor and a community staple. Introduced me a wide range of styles and techniques. I picked up my first guitar around 1960, and took my first real lesson - from Jeff - about 55 years later. 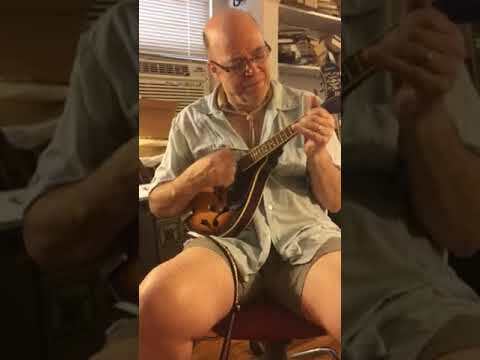 I had played off and on before, mainly off, but when I retired from doctoring my wife bought me a package with TakeLessons, and Jeff was the closest to home and had good reviews. I highly recommend him. We focus on the rock, R&B and such that I grew up on. Jeff's knowledge of music is encyclopedic, and he is able to teach it to an old man like me. 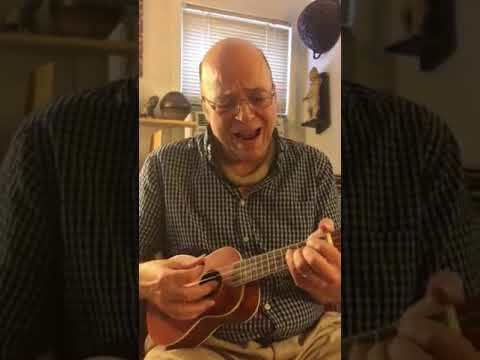 He plays just about everything, from Jazz to Ukulele. I give him 5 stars. I have learned a lot, limited only by my own lack of practice time, and over the years I have also gained a good friend. Give Jeff a try! All the teacher did for 2 hours was talk about himself and his physical ailments. He also came across is quite a bully, and we were afraid about getting out of there. You're also didn't have the proper equipment and we spent the first 30 minutes transposing music instead of doing what we asked him to do which was play the music. His wife is very ill, and we felt very sorry for her. The inside of the house itself was very dirty and there are prescription medications everywhere. Jeff is just awesome! Jeff is professional and detailed. He made it easy for me to understand and learn the basics. He is patient,encouraging, and knows excatly when I'm ready for the next step. He's been teaching for so long! He basically knows EVERYTHING. He has a passion for music and it shows. I've grown tremendously since starting my lessons! Jeff is the nicest and coolest teacher you could ever have. He taught me any song I wanted to learn, he didn’t have a limited amount of knowledge. He is so patient and helpful to anyone that is new to the guitar. He is also very helpful to people that have experience and he can help challenge you. I highly recommend to anyone that wants a fun learning experience! Jeff Stetson is the greatest guitar teacher in the universe! I first began taking guitar lessons with Jeff in 1983. Jeff's a very knowledgeable musician plus he's a kind hearted person who made learning guitar alot of fun. Jeff taught me endless scales and chord voicings plus good playing technique and music theory skills. 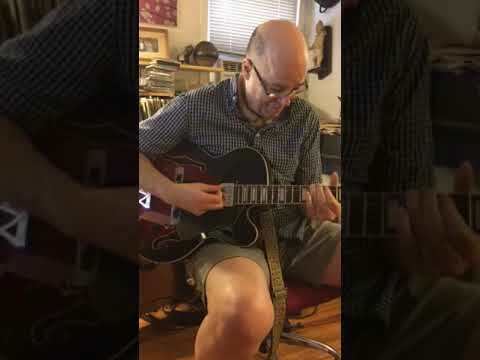 Jeff taught me how to play great songs by the Beatles, Santana, Jobim, Dizzy Gillesby plus many of his finely crafted and inspiring original compositions. I highly recommend talking guitar lessons from Jeff to everyone at all levels of playing. Jeff is a very experienced instructor and can immediately pinpoint your strengths and weaknesses. He chooses songs that suit your ability, but always adds something to each lesson to push you to the next level. I've only had three lessons so far, but I'm surprised at how much I'm already able to play. I had a lot of reservations going in to these lessons because of unsuccessful attempts to learn guitar in the past. All I can say is that I am really glad I chose Jeff for an instructor. He really knows his stuff and will bring out all the potential you have. Great Teacher. Took the time to explain everything. Looking forward to the next leasson. Great lesson. Looking forward to getting a deep understanding of music theory and applying those patterns to my ukulele and guitar skills. Excellent lesson and I'm already looking forward to my next lesson. Jeff was very helpful and encouraging. I had not picked up a guitar in 45 years, but I found myself remembering chords and techniques that I had long forgotten about. Jeff is a very talented guitarist and the lessons are reasonably priced. The 45 minute lesson is a great deal. Started with Jeff in January 2015 - I had tinkered off & on with guitar for about 50 years, could play a little folky stuff & bluegrass rhythm guitar but not well, never took lessons before and hadn't played much for about 40 years. Jeff started off by hearing what I could do (not much!) and went from there, mainly with rock stuff. He is a walking encyclopedia, patient, unpretentious and I have made a lot of progress and continue to feel better about it every week. I actually am inspired to practice! I would recommend Jeff to anyone who wants to learn. 5 stars! Jeff is the best teacher when it comes to guitar. I've been receiving lessons from him since I was 10 and have continued the lessons over the years. Each lesson I take I get to learn something new and I am always entertained. I'm amazed at how well he teaches you every chord and technique in a simple and clear manner. He is patient and overall just an awesome person. May God bless him in his teaching career! He started out at my level and has gone forward from there. He has knowledge of popular music of the last 6o years. I would recommend him for anybody that is interested in any guitar based popular music. Pop rock, blues, anything! Jeff is a great guitar teacher. He knows everything about the guitar and music theory. Whenever I have a question, Jeff always goes into great detail to explain everything to make I understand it well. I have been with Jeff for almost a year and my playing and understanding of the guitar has greatly improved. Jeff also has a great record collection. Thank you Jeff and see you next week for my lesson! I took lessons from Jeff on and off for about 15yrs. I started off on the bass and then tried learning some guitar. I really had a great time learning how to play the bass from Jeff, he makes it really fun and relevant to your needs. Some days, I really wanted to learn a song I heard on the radio or from a favorite band, and he was instantly able to teach it to me. Jeff is a great guy and really knows how to teach guitar. I would definitely recommend taking lessons from Jeff. He will go at your pace, and you will have a blast learning how to play the guitar! Rock players: learn something about Jazz! I came to Jeff as a rock player with /some/ skill, but stuck in the "pentatonic box". Jeff introduced me to the infinite possibilities of Jazz. I wasn't the most diligent student in the world, and even still, I learned some of the basics: how to read a lead sheet, how Jazz maps to the electric guitar, how to play faster, and /when/ to play faster. Jeff introduced me to some essential figures from the Jazz canon: Miles Davis, Freddie Hubbard, Jobim. In retrospect, the most important takeaway from "Jeff lessons" was ear training. He has a clever set of techniques for learning to hear and recognize intervals. Take lessons with Jeff and you'll learn how build chords, and to easily pick apart a piece of music and transcribe it. On top of all that, he's a pretty cool guy. :) Solid gold! 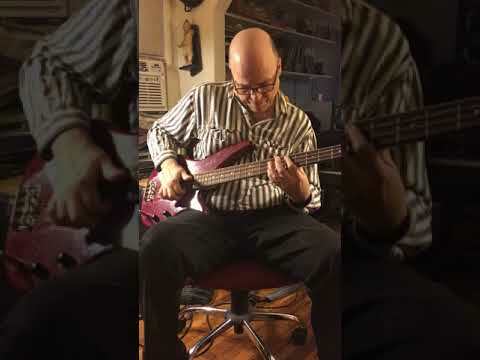 I took bass lessons with Jeff in my formative years as a musician (as did many of my friends). He is the perfect teacher: Highly skilled, informative, patient, friendly, challenging and a lot of fun! Jeff was more than willing to teach me things I wanted to know but more importantly, he set me straight on developing good technique, note and chord chart reading, understanding theory, ear training and improvising. He also turned me on to tons of great life changing music that was not yet on my young radar! He is a walking encyclopedia of musical knowledge. Lastly, he has remained a friend throughout my whole life. I've even had the honor of playing many gigs with him, something I would have never imagined as a young beginner! From beginners to advanced students, Jeff is your man. Thank you for everything, Master Stetson! I highly recommend Jeff as a guitar teacher. His method of teaching is very versatile and he is willing to create exactly what the student wants to learn. His knowledge is vast and his understanding of theory is overwhelming. So if you are undecided of which instructor to try, please look no further and give Jeff a chance to broaden your playing abilities, I'm sure glad I did. Jeff is a great teacher!!! Jeff is an awesome teacher and he teaches well. He knows his materials and he knows how to teach. For all the years that I have taken guitar lessons from Jeff has been very helpful and very patient. When he teaches me, I do not feel as if I am being rushed but rather I feel as if he encourages me to be the best guitarist that I can be. There are musicians and there are technicians. I took weekly lessons from Jeff for 5 years and still go to him often for advice on song composition. What I gained from Jeff, besides a true understanding of guitar playing fundamentals, is an understanding of how music "works"--the harmony behind it. From Jeff's instruction, I understand the theory of music--how scales are formed, how chords are built from these scales, and how to read and write all of it. As a heavy rock fan, Jeff also helped me train my ear to hear the intricacies of jazz, which has taken my songwriting--both electric and acoustic--to a whole new level. I strongly recommend Jeff Stetson to anyone who truly wants to learn how to play any stringed instrument, especially guitar, at any level. He will teach you how and/ or why depending on an individual's goals. Jeff Stetson is & has been my #1 recommendation to learn to play music for 20+ years! Jeff was probably the best thing to happen to me as a teenager. I took bass lessons from Jeff for 5 years & in that time, my world of music expanded as did my skills in playing music. My lessons with Jeff prepared me well enough to enter into college level music courses. If I had an audition, Jeff zeroed in on what I needed to know & helped me get the gig. His study techniques work, if you work em'! He will show you what you want & you will get a whole lot more. Ask him about the Louie Louie/Wild Thing thread & you will get the history & learn to play R-n-R, the Blues, R.n.B, Funk. & the foundations of Jazz. All levels, all styles, Jeff Stetson is my #1 recommendation for learning music. Thanks Jeff, I am positive you helped keep me out of trouble & possibly jail too. Along with Jeff helping me learn the guitar one chord and note at a time, he also became a true friend. Jeff's musical talents and abilities are God given but the best part about his teaching is you know he sincerely cares about your success as a guitarist and human being! I would highly recommend Jeff Stetson as your choice of Guitar Teachers, Phenomenal Guitarist and Human Being who has stayed true to his Art!!! Jeff is an awesome teacher! I decided to take lessons from him after hearing a friend play and finding out he took lessons from Jeff (my friend is an amazing guitarist). Not really knowing how to play guitar, at first I was a little nervous, but It was such a comfortable environment that I always looked forward to my next lesson. He has become even more a friend than a guitar teacher. He can teach you any type of music and will work with you. Without realizing it, I had progressed more than I could've imagined in a relatively short amount of time. Even if you've never picked up a guitar, or have been playing for years, Jeff is the teacher you want. Jeff took me from a raw beginner to a performer. He's unique in that he tailors his teachings to YOUR needs and then does what it takes to help you reach your goal. Additionally, if you want a teacher who relates to your musical sensibilities, Jeff's the man. His immense and eclectic music collection indicates a very wide range of musical appreciation. Can't say enough, if need hand holding or a taskmaster you can't do better. If you're not local Jeff's worth the drive. In 1977 I was taking guitar lessons and although I was developing as a guitarist I was not being taught the styles and techniques I really wanted to learn. Jeff was recommended by a bass player I went to school with and I went by the store he taught at, Guitar Corner in Arcadia to meet him and discuss what he could teach me. After a 15 minute meeting I started taking lessons with Jeff and he took me from being somewhat frustrated with my instrument to truly understanding it and being able to make it do what I had imagined it doing. Within six months I had people thinking I'd been playing for 5 years or more. Jeff will make you sound good FAST! He will help you with technique and teach YOU what YOU want to know. I was amazed and so will you! He is a great musician who has "lived the Blues" and puts 100% of his heart and soul into every note. Learning from Jeff Stetson is an honor and you will not be disappointed. Jeff is a great teacher who helps you learn the guitar step-by-step with lots of great tips! I started to learn guitar from Jeff when I was in the 5th grade and I have never regretted it. He has helped me improve so much that I can now solo off of songs and dissect popular songs to learn by myself. It's always so fun to play guitar with him, and he is always encouraging. He also teaches at my home which is really convenient. I always look forward to lessons to show him how I have improved. He is also really funny and entertaining. He has a lot of knowledge on guitar and music in general. Guitar has been a big part of my life and so has Jeff. I owe him all my thanks for teaching me how to enjoy and utilize the guitar beyond just learning chords and progressions.